Systemic inflammation is a substantial issue that can hurt your body. This occurs when cells within your immune system produce compounds that cause inflammation to develop. Microglia in many cells will activate and work faster and harder than necessary as you suffer from systemic inflammation. As a result, cytokines that promote inflammation will be produced. This can cause neurodegeneration in many of the worst cases. This comes as your nerves stop functioning properly as the inflammation makes it harder for them to stay healthy. As this occurs, your body’s white blood cells will weaken as they are being triggered to release these cytokines. The added blood flow to the impacted area will create substantial harm. This comes as blood is not moving as evenly as it should around your entire body. When this happens, you will start to feel the effects of systemic inflammation. You will start to feel swelling in the impacted area. Healthy tissues may also be destroyed in some of the worst cases. However, there is a solution that you can use to keep your body healthy. Curcumin can be used as an anti-inflammatory supplement that will improve how your body responds to this condition. Curcumin is a compound found in turmeric spice. This operates as a natural antioxidant that also carries anti-inflammatory properties to improve how well your body responds to this issue. 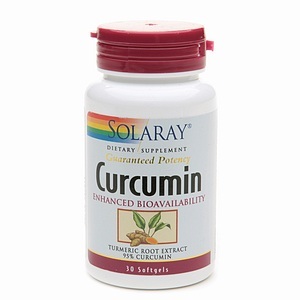 Macrophage and microgial activation within cells will be reduced as you utilize curcumin. These compounds within your cells are key parts that often trigger the release of cytokines that cause inflammation to develop. As these parts of the cells are kept under control, it will be easier for your body to feel healthy as the threat of inflammation is reduced. Make sure you take a look at curcumin for your needs when controlling systemic inflammation. This should certainly control how your body feels when used properly.